GENEVA — The wife of an American pastor imprisoned in Iran for planting house churches in the country over a decade ago is scheduled to speak before the Human Rights Council of the United Nations on Monday. Naghmeh Abedini and the American Center for Law and Justice (ACLJ) have been meeting with various countries and non-governmental organizations this past week at the UN in an effort to raise awareness about the plight of Pastor Saeed Abedini. 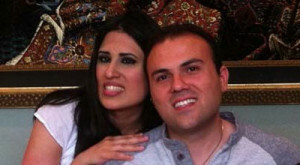 As previously reported, 32-year-old Abedini, who resides in Idaho with Negmeh and their two children, has been incarcerated in Iran’s notorious Evin Prison since late September for allegedly threatening the national security of Iran by planting house churches in the country a decade ago, and for attempting to turn youth in the nation away from Islam and toward Christianity. He had traveled to Iran to build an orphanage last fall, and was about to return to the states when he was taken into custody. Abedini was sentenced to eight years in prison for his crimes. The pastor has written numerous letters to his family while incarcerated, outlining that he suffers from internal bleeding from beatings within the prison, and that he has been denied medical treatment for many months. Abedini’s wife has been urging officials within the United States to speak out on behalf of her husband, and is now turning to the UN for intervention. She states that meetings this past week have uplifted her spirits. The ACLJ likewise said in a news release that reception to Naghmeh’s concerns has been positive. “The responses have been encouraging as the world begins to respond to the pleas of a wife and mother desperately seeking to have her husband brought home,” the organization outlined. Jordan Sekulow, the executive director for the ACLJ, spoke to the council on Friday, briefly reading a segment from a report written by the organization’s affiliate, the European Center for Law and Justice. Abedini recently sent a letter to his wife from prison, thanking the world for its prayers and support.